Romanticize the entire affair of a wedding. Whether it is your’s or that of a friend or a relative, try out any of these gorgeous 18 Indian wedding hairstyles! The wedding season is just around the corner. And most brides to be must be busy with last minute preparations to their big day. So have you zeroed in on your bridal lehenga? Oh and what about makeup and hair. Don’t worry, we’re here to help you look like the most gorgeous bride ever. So today, Zuri brings to you 18 Romantic Indian wedding hairstyles for you to choose from. 1. Braids: Braid is one look that can never go wrong for an Indian bride. It’s traditional, neat and no fuss. Use accessories like the chudamani or maybe even gajras to add zing to the look. If you’re one of the quirkier ones, then try the messy side braid for the ultimate boho-chic look. 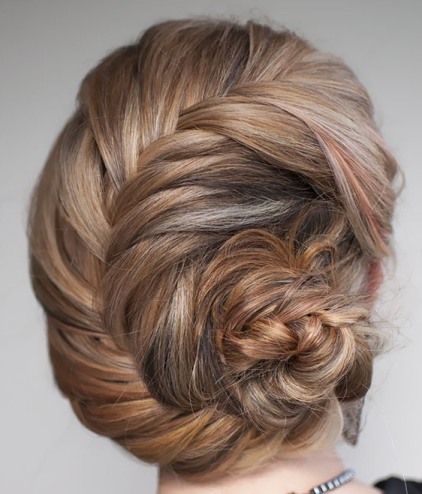 But I would recommend sticking to the traditional braid especially for the wedding. 2. Braided chignon: A braided chignon is an interesting variation to the regular braid wherein your braided hair is rolled up into a chignon securely resting either at the side or at the nape with the help of bobby pins. This look is again neat, elegant and goes very well with your ethnic outfits. 3. Curls left loose: Now this style works very well for the pre-wedding functions. Style your hair into curls with a styling tong and sweep them sideways or leave them hanging loosely at the back. Now back comb the crown section of your hair into a bouffant to add volume. Accessorise with an embellished hair band, and voila, you’re good to go. 4. Classic updo: Nothing can make you look more graceful than this updo where your tresses are rolled up into tidy rolls, pinned on the top of your head to make a classic updo. This hairstyle works brilliantly with a saree and also shows off that plunging neckline of your blouse. Add a flower or two on the side to give it a more ethereal look. 5. Messy side bun: Go for a messy bun, for a sassy yet classy look. This hairstyle is a blessing for all those women with curly locks. And for those of you, with straight hair, don’t fret. 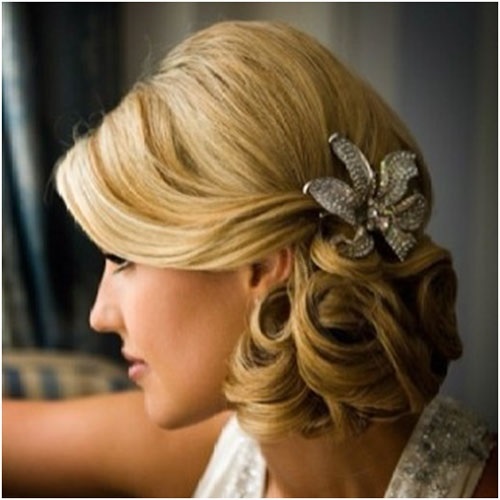 Just curl up your hair with a curling iron and twist and turn them, pinning them up at the side with bobby pins. Wear this look for your reception party and you’re sure to look ravishing. Traditional Indian jewellery for your hair like the paasa and maatha patti have made a huge comeback and is a sure shot way of looking breathtaking on your big day. So make sure you accessorise your hair with these exuberant pieces. 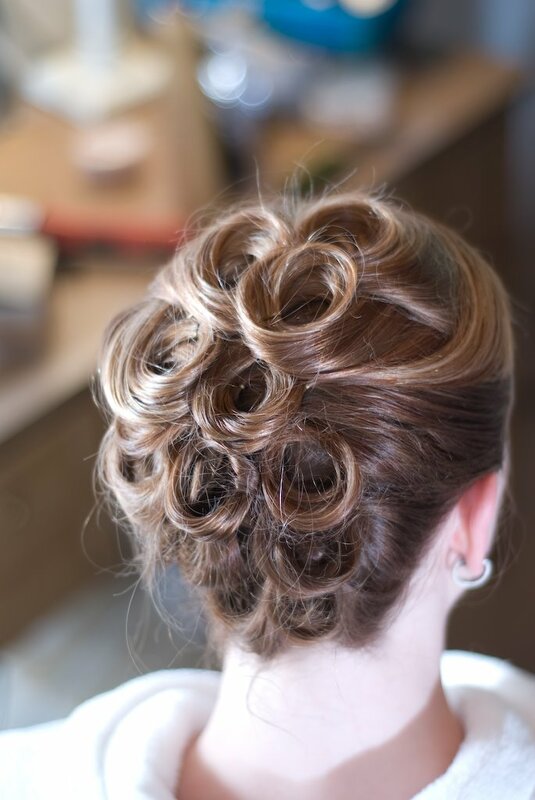 Also take a look at the following hairstyle ideas for your big day and take your pick.